Depart Lafayette at 6:30 AM. Pickups for Reynolds, Monon and Francesville may be arranged. Pack your camera for Tulip Time in Holland, Michigan. Visit America’s only 250 year old working Dutch Windmill, De Zwann on Windmill Island adorned with 175,000 tulips! Experience Dutch entertainers clad in authentic costumes and wooden shoes demonstrating Dutch traditions in Holland’s Dutch Village. Take in Veldheers, Holland’s only tulip farm and perennial garden where you may see 5.5 million tulips! 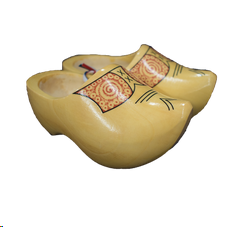 Peek inside DeKlomp Wooden Shoe Factory and Delftware Factory with over 400 different patterns hand painted by their staff.